Corrine is our on-staff food enthusiast. With an addiction to The Food Network, she’s always bringing in treats for our team. She spends her free time running her food blog, The Daily Ciabatta, where she shares her favorite dishes (that are Web Ascender taste test approved, of course). Corrine graduated with an Associates in Applied Art from Lansing Community College, which shaped her keen eye for design. 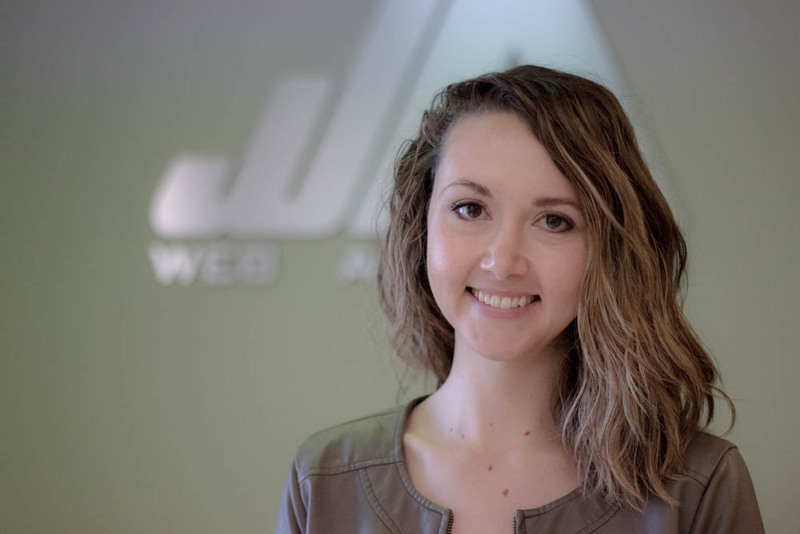 Her favorite design tools are Photoshop and Illustrator, but she’s always on the lookout for new programs that merge design with front-end development. At Web Ascender, a project that she’s enjoyed the most is the website she designed for Granger; it took a while to perfect, but the sharp new design was worth it in the long run. As a dog lover, she and her husband Jay have two mutts, Sammy and Denver, that keep them busy. Outside of work and cooking her heart out, Corrine is a lover of music. Her favorite artist is Tom Petty, which she makes an effort to see every time he’s in town. She also gets down to Johnny Cash, Aretha Franklin, and Elvis Presley.